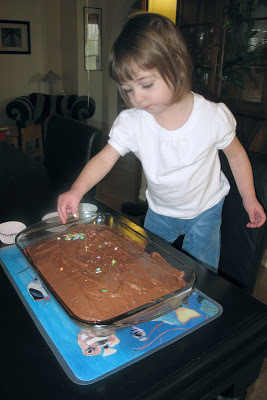 Cate helped me decorate, and even ate some of the candy sprinkles along the way. 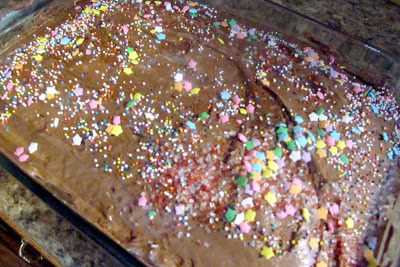 As you can see (below), a portion of the right side was sprinkle-heavy! 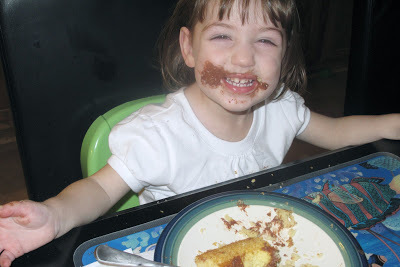 Of course, she helped us eat the cake too!